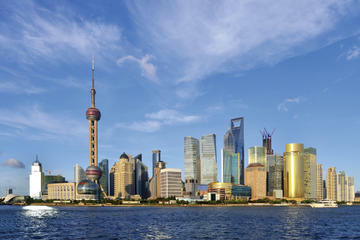 The Shanghai Skyline with its ever-changing landscape has come to represent the dynamism of this nation. 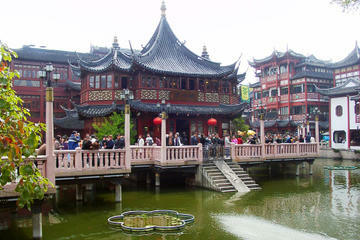 Shanghai is one of the world's most vibrant cities where modernism co-exists with ancient traditions and customs. 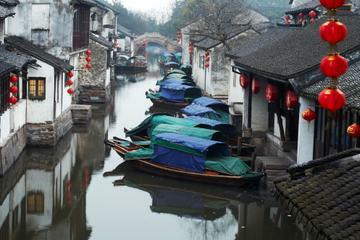 The face of modern Shanghai is represented in Shanghai's newest District, the District of Pudong. Pudong used to be farm land until not too long ago. 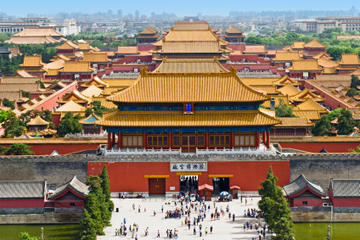 In 1990, it acquired the status of Special Economic Zone and investment poured in. 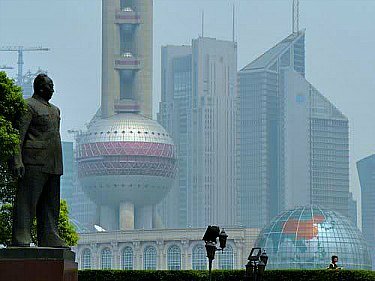 Pudong today has become a vast business district and China's financial center, with some of the most notorious buildings highlighting the Shanghai Skyline. 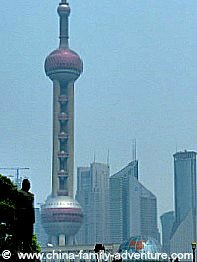 Pudong is home to over 300 of the Global Fortune 500 companies (another 100 reside on the other side of the river) and the Shanghai Stock Exchange. 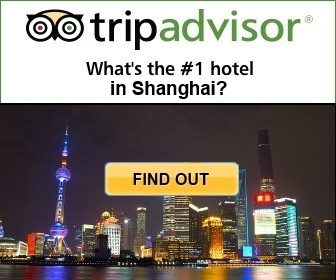 The most recognizable landmark of the modern Shanghai skyline is the Oriental Pearl TV Tower. 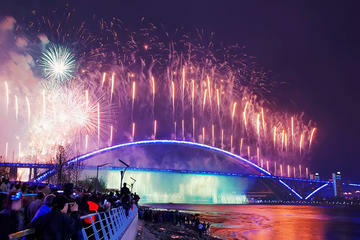 It rises 1,500 feet (457 meters) on the Huangpu's east bank. 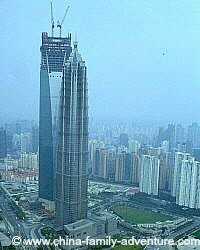 Another skyline landmark is the Jinmao Tower, with 88 (lucky) floors, it was once the tallest building in China. 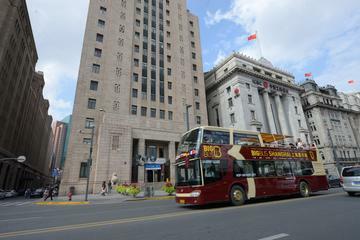 It is an office building and also home of the Shanghai Grand Hyatt Hotel. Go up the 87th Floor to the Hyatt's Bar Cloud 9, one of the highest bars in the world with splendid 360 degree views of the city. 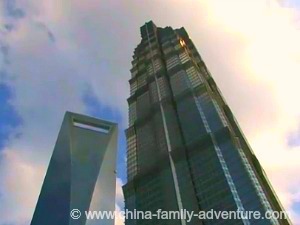 Behind the Jinmao Tower is the newly built Shanghai World Financial Center. 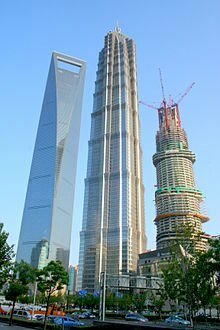 At 492 meters (1,614 feet) the Shanghai World Financial Center is now China's tallest building and third tallest in the world after the Burg Dubai in the United Arab Emirates and Taipei's 101 Tower. The Observation Deck consists of 3 different levels, the highest at 474 m (1,555 ft) above ground level. The views from the Observation Deck are great, specially at night. 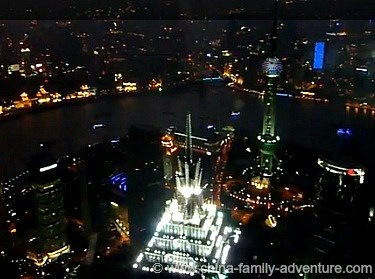 You can also get some great views of the Shanghai skyline by taking a boat cruise in the Huanpu River. 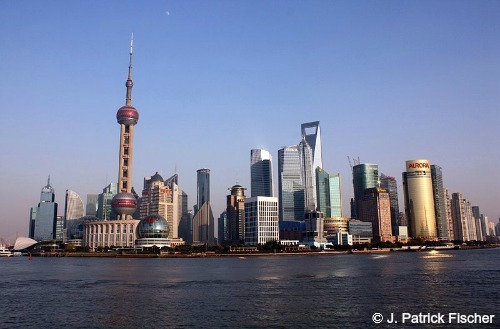 What's Next for the Shanghai Skyline? Now under construction and expected to open to the public in 2015 is the Shanghai Tower. 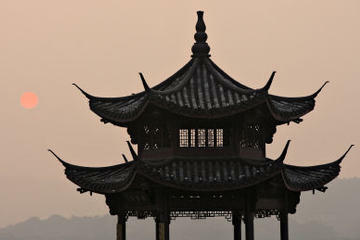 It will be a 121-story tower, and will become the tallest building in China. 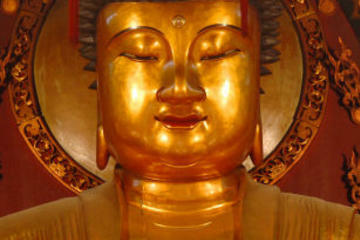 At approximately 632 meters high, it will also surpass the Canton Tower, currently the tallest structure in China. The Shanghai Tower will offer office space, a shopping mall and a 258-room luxury hotel from the J-Hotel group which will occupy from the 84th to 110th floor.